This composite lithograph combines several photographic scenes of life on the Spokane River. 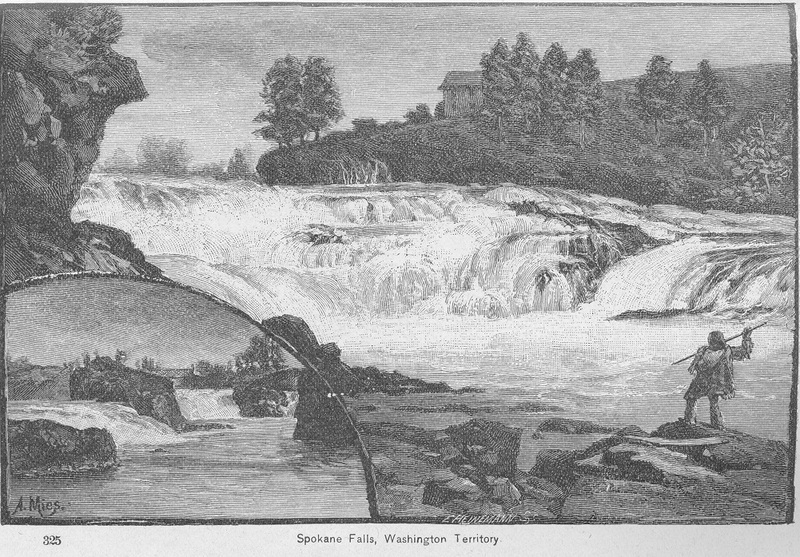 To an illustration of the Lower Falls in 1878, an Indian fisherman has been added about to spear a salmon as has an inset of the Upper Falls. Source: Winser, Henry J. The great Northwest ; a guide-book and itinerary for the use of tourists and travellers over the lines of the Northern Pacific railroad, the Oregon railway and navigation company and the Oregon and California railroad, 1883.